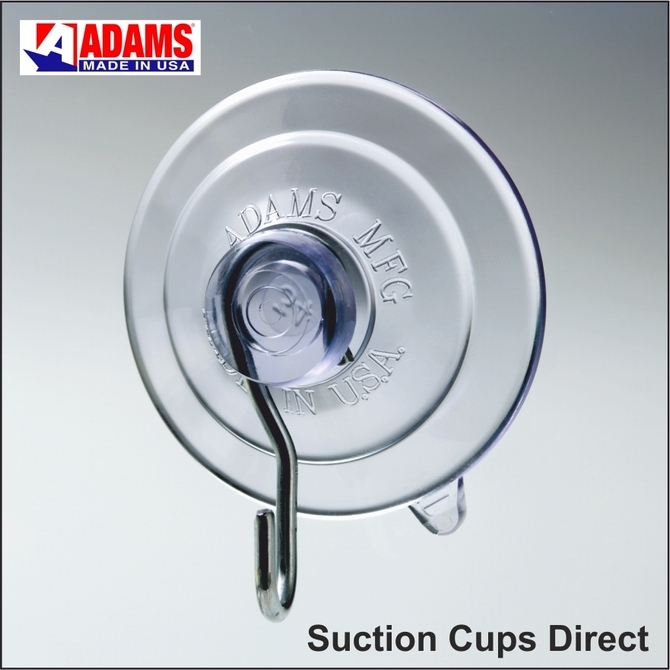 Suction cups with hooks: Adams best at Suction Cups Direct. HOME >> Suction Cups. 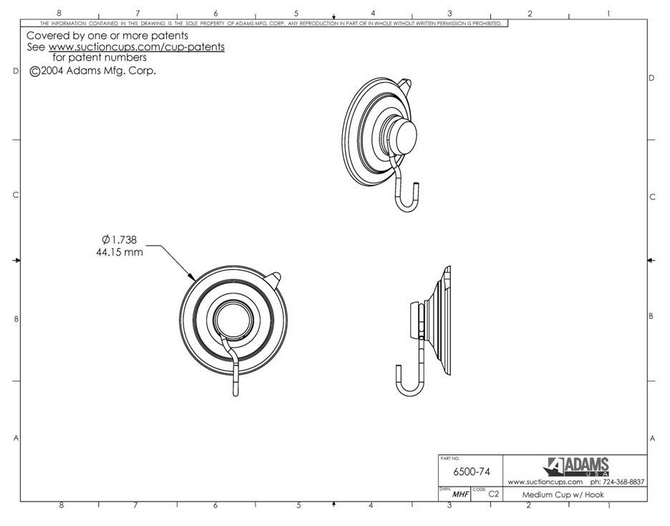 Hooks >> Strong medium suction cups with hooks. 47mm diameter. Holds 1.36kgs. 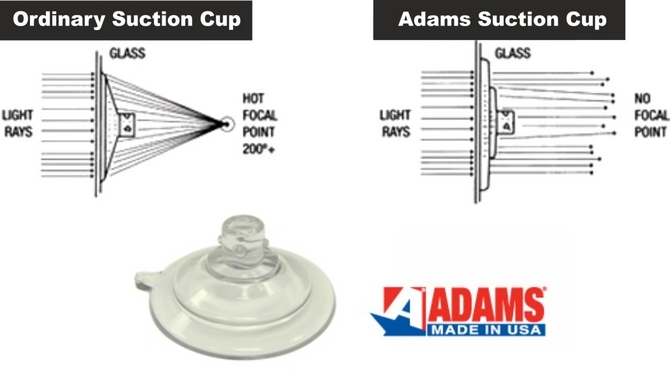 Adams suction cups with hooks (which are sometimes called window suckers), will hang a display poster, door or window sign, document, calendar, keys, stained glass, thermometer, caravan products, car air fresheners etc. as they are rated to hold 3 pounds (1.36kgs) in weight. Fix suction cups with hooks to a dry, flat, clean, slick or shiny non porous, non textured surface like glass, mirrors, glossy plastic, plain glazed ceramic tiles and car body work.